What an adventure it was: drifting across the entire Pacific Ocean to Polynesia on a balsa wood raft http://en.wikipedia.org/wiki/Kon-Tiki_expedition . 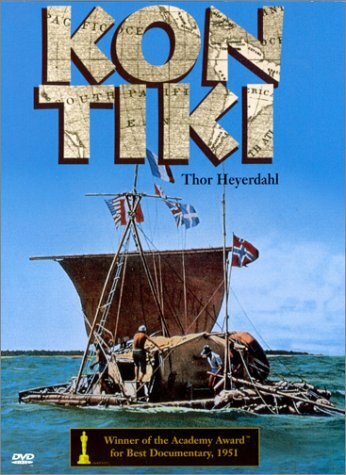 The doco Thor made http://en.wikipedia.org/wiki/Kon-Tiki_%281950_film%29 won the Academy Award. The book was translated into 70 languages and sold 50 million copies. If you haven’t read it, you should, and its successors, and fellow adventurer Bengt Danielsson’s related books – eg ‘Love in the South Seas’. There is also now a 2012 film about the expedition http://www.kontikidefilm.com/ National Geo has also made a documentary about the making of the 2012 film. All are available as torrents on Kickass/Pirate Bay.